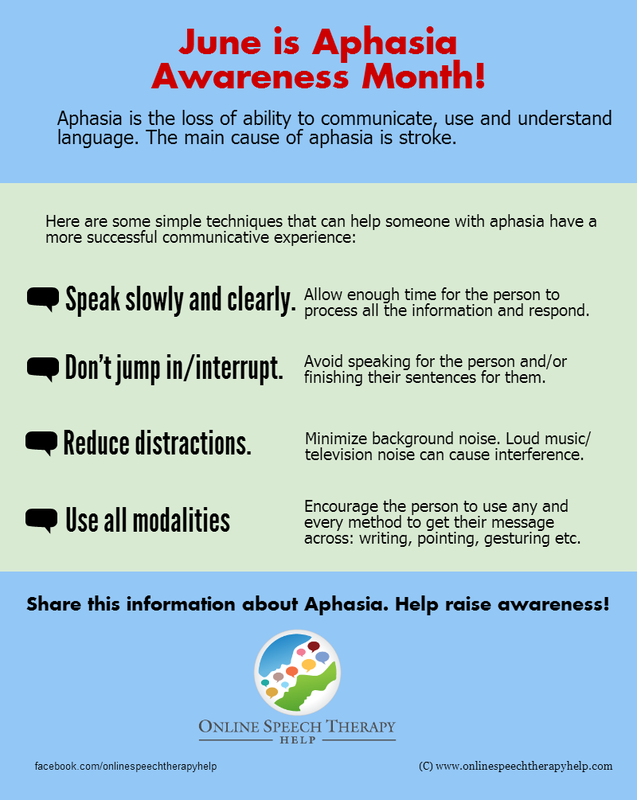 June is Aphasia Awareness Month. Aphasia is the loss of ability to communicate, use and understand language. The main cause of aphasia is stroke. 1.Speak slowly and clearly: Allow enough time for the person to process all the information and respond. 2.Don't jump in/interrupt: Avoid speaking for the person and/or finishing their sentences for them. 3.Reduce distractions: Minimize background noise. Loud music/ television noise can cause interference. 4.Use all modalities: Encourage the person to use any and every method to get their message across: writing, pointing, gesturing etc.